Oh hi. It's been a long time (and yes, the blog got a little facelift). I can't believe it's been so long since my last post. I guess that March Madness win really took it out of me. Howzabout I make it up to you with a little giveaway? I thought you'd like that. Am I forgiven? Thanks. 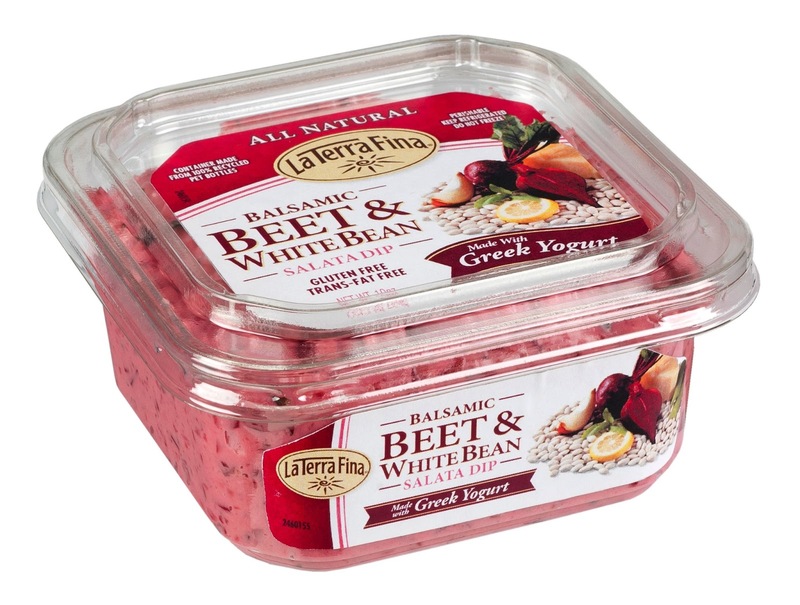 About a month ago, La Terra Fina contacted me, asking if I'd like to try their new line of dips and spreads. Not one to turn down free food - and definitely one to enjoy a good dip - I said I was game. They sent five delicious dips to my door, and y'all know I tried them all. I opened them up at a party at our place, brought them to a friend's party a few days later, and finished off the last one this weekend. And I kind of wish I still had some left. The best part? They're made with Greek yogurt, so they're totally not even bad for you! They would make really good spreads on a sandwich or wrap, and they're super tasty with just about anything dipped in them. Oh, and the packaging is made from 100% recycled PET bottles, so that's cool too. They were all delicious, though my favorite was definitely the Balsamic Beet & White Bean. The Onion Dip was a little sweeter than I like my onion dip to be, but it was still pretty good (and friends enjoyed it quite a bit). The Kalamata Olive & Spinach probably takes 2nd place in my heart, with its tangy "kind of like spinach artichoke dip but better" flavor. The lentil dips were tasty -- I thought they'd be kind of weird, but they were totally delicious. Caramelized Onion Dip: Rich caramelized red onions with a hint of balsamic are blended with tangy Greek yogurt for a healthier and more flavorful alternative to this party favorite. Red Lentil Curry Dip: Roasted garlic and spicy curry add a rich layer to this blend of creamy Greek yogurt and simmered red lentils for a hearty dip. Greek Kalamata Olive & Spinach Dip: Leafy spinach and sun-dried tomatoes are blended with creamy Greek yogurt then finished with a fresh squeeze of lemon and Kalamata olives. Yellow Pepper & Lentil Dip: Yellow bell peppers are roasted, then blended with savory red lentils and tangy Greek yogurt, for a perfect balance of sweet and savory. To win, leave a comment telling me which dip you're the most curious to try! Share this post on your favorite social media (Twitter, Facebook, Pinterest, whatever) for extra entries - just leave an additional comment for each thing you do. Contest will remain open until 11:59pm PDT on Monday, July 1. Winner will be chosen at random. Hopefully I'll start blogging more regularly soon. I have so many garden updates to share! While I was given free spreads to review, I was not otherwise compensated for this post, and my opinions are my own. Yeah, I'd go with that Beet and Bean one... just cause I'm curious. Although I do love me some caramelized onion. Balsamic & beet! Two of my favorite things! Hee. I'm interested in the Caramelized Onion Dip because I love me some onion dip and making it with yogurt sounds like a slightly healthier alternative! Congratulations, @Alyssa Gohn ! You're the winner! Hooray! Now I get to go stock up on things to dip! Where is the lesson useful. We need more Program such.